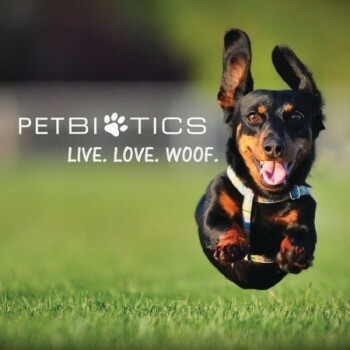 Petbiotics Has an Amazing Product Line for Your Pets! We love of our pets like our family and want the best for them. We want to make sure their food is fresh, they get daily exercise and stay clean! But, with all the mischief that our pets get into on a daily basis, it can be hard to keep them clean and fresh smelling. And our homes too! Well, that is where Petbiotics can help. They have an amazing line of home and grooming products that will keep your pets and home smelling great! Petbiotics is a fabulous new brand of cleaning and grooming products that are made with probiotics which makes the products safe and chemical free. Each of their products are made with a specific biodegradable formula to ensure they are healthy for you and your pets. You can have comfort that your cat or dog won’t get allergies or a rash from any of their brands. Petbiotics has a great, safe all-natural cleaner, Clean Home Recharge, that is made from probiotics to ensure a healthier way to clean your dog or cat’s home (oh.. and yours too!) This healthy spray is chemical free and tough enough to work on potty accidents, carpets, pet beds, and carpet stains. Dog got in the mud? No problem. Just use their recharge spray and it will pick up the mud stains. Their biodegradable formula will completely remove stains and odors so your pet doesn’t go back and do a repeat! The spray is fragrance-free, alcohol free and has no ammonia or bleach, but is just as effective. And, did we mention? It works wonders! No Bath Probiotic-Powered Pet Spray is a great dog or cat pet spray for in-between bath time! Most days, you just don’t have the time to bathe your dog or cat. But, we always want them to smell fresh and be clean. Petbiotics came up with the great solution to clean your pet(s) in-between baths or grooming appointments. Their safe and all-natural topical No Bath Probiotic Powered Pet Spray is powered by probiotics to keep your pet smelling fresh and clean in-between baths. Just spray it on your pet and their probiotic formula will make them smell fresh and groomed! Take a look at their awesome line of red algae products! Petbiotics also has a fabulous product line of red algae products. Red algae is an ancient source of healing vitamins, minerals and amino acids. Their complete line of red algae products has vitamins A, E, and B complex, minerals, amino acids, and anti-inflammatory and microbial nutrients. Red Algae is found to moisturize, condition, soothe and restore vitality in your pets’ fur. Red Algae Infused Pet Shampoo is an all-natural premium shampoo for your pet. This all -natural premium shampoo is formulated to clean, condition and rejuvenate your pet’s coat. It’s like a beauty day for your pets! This luxurious shampoo is specially blended to clean, condition and revitalize your pets’ coat and skin to make them look like they just stepped out of the salon! The red algae works wonders! Red Algae Pet Wipes smell great and are equally effective! When your dog or cat gets into your trash or something he shouldn’t, just take out this fresh smelling wipe and get rid of it immediately. The Red Algae Pet Wipe is an individually wrapped wipe that is infused with Red algae, vitamins A, B Complex and promote healthy skin, moisture and even help repair dry or flaky skin. These fresh, portable wipes are great for quick cleanups on walks, at parks, and handy to have at home. While you’re at it, use the wipe to clean their whole body. Smells fresh and easy breezy. These wipes can also help prevent relieve skin infections, superficial cuts, abrasions and insect bites. Salon Pro Red Algae Pet Spray is a great conditioning spray! If you are looking for a great, all-natural premium conditioner for your pets, you must try the Salon Pro Red Algae Pet Spray. This awesome spray moisturizes, soothes and conditions your pet’s skin, leaving them with their coat shiny while helping to prevent itching and scratching. It is hypoallergenic and safe for dogs, cats, birds, hamsters, rabbits, ferrets, horses, and miniature pigs. Try one or try all of these fabulous products from Petbiotics. Your home AND dogs or cats will smell great and fresh. You will be so happy that you found this great line of products. We sure were! You can find them at Petbiotics!